Pregnancy is such a joyous event in a woman’s life. It’s a celebration of life. But if you’re the pregnant woman, sometimes the internal struggle of constantly worrying brings rain to the parade. When I was pregnant with lil’ Ms. JG, I was, like any other first time preggy mommas, a paranoid one. Actually, my family was more paranoid than I was. They would research and give me advice and tips. And they give a lot of it. This, I completely understand because I know they care for me and only want what’s best for me and my baby. Most of the stories I have heard didn’t make me feel good with my pregnancy. If there’s anything, it made me more paranoid and more scared. Six years after my first pregnancy, I can say I learned a lot and I know better. The experiences and the stories have armed me with enough knowledge and information as a mom. But if I could turn back time, I would like to be more proactive than I was during my first pregnancy. What is a proactive mom you ask? 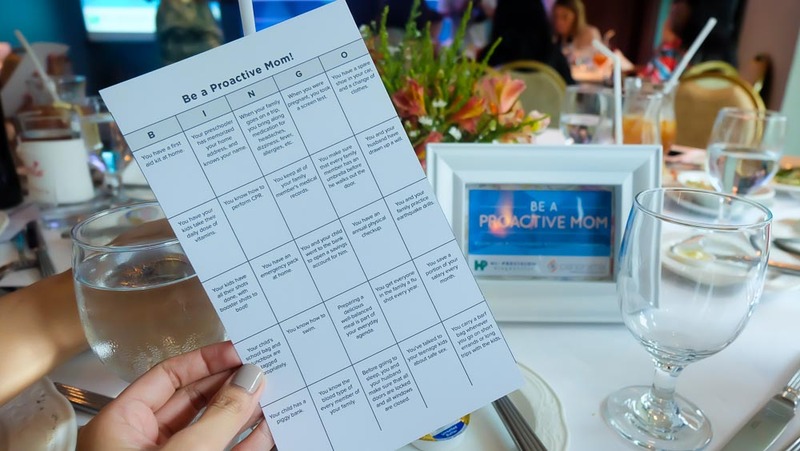 A proactive mom is a mom who will do anything and everything in her power to make sure she and her baby are safe. Proactive parenting calls for long-term thinking. It is a commitment to get ready today for tomorrow’s issues and concerns in order to manage them in the best possible way. Proactive parenting encourages moms and dads to set a vision for what they’d like their family to be, and it should start the moment they find out they’re expecting. If you have a chance to do exactly this, even before your baby is born, wouldn’t you do it? 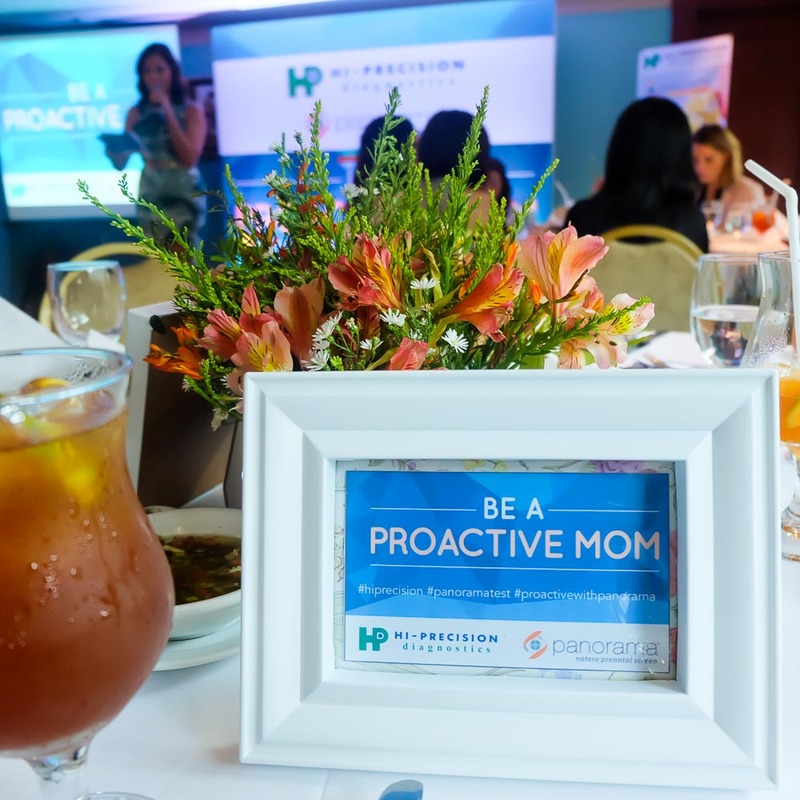 This is what I learned last July 27, 2015 as Hi-Precision Diagnostics invited me and a handful of moms and media over lunch to discuss their latest special test called Panorama Non-Invasive Prenatal Screening. Hi-Precision isn’t new to me, in fact I had done one of their special tests late last year which have tremendously helped me become healthier and fit. I took their FIT (Food Intolerance Test) and I’m so glad I did because now, I eat only want my body can tolerate. You can read about my experience and the benefits as to why you should take the FIT, HERE. To break the ice, we were asked to play BINGO! We had to ask moms around us if they’ve done these situations. Apparently, most of the guests are proactive moms. Ay lavett! Hi-Precision Diagnostic’s Panorama™ Prenatal Screen is a non-invasive DNA screening test, which gives essential genetic information about your baby as early as nine weeks into your pregnancy. By knowing the state of your child’s health and gender as early as possible, you can better prepare for your child’s future. By providing a sample of your blood, you will not only know your baby’s gender, you will also find out his likelihood of having a chromosomal condition. Babies born to mothers over 35 years old have higher chance of having certain chromosomal abnormalities such as Down Syndrome and Angelman Syndrome. The good thing about Hi Precision Diagnostics Panorama™ Prenatal Screen is it has a false positive rate of less than 1% and the test can be done as early as 9 weeks of pregnancy. We watched a video of Sheila Kambin, the chairperson of 22q.org, a foundation dedicated to bring awareness and give partnership for families affected by 22q11.2 syndrome. It was such heartwarming video that I had to control my sobs, as I watch how helpless she was before she learned about her son’s genetic disorder. You can read her story HERE. She said, had she known about her son having 22q11.2, she would’ve been more prepared and right treatments could’ve been given to her son early on. I believe that being informed especially when it comes to your child’s health and overall well-being is a must for every expecting couple. The idea of knowing if there is any genetic abnormalities found in your baby’s DNA can better prepare you not only physically & financially but more importantly, emotionally and mentally. To be informed and to arm yourself with knowledge only means you’re a proactive mom. If you’re pregnant or know someone who is, let your friend know that Hi Precision Diagnostics Panorama™ Prenatal Screen is now available and that she shouldn’t burden herself of what ifs and the unknown. Here I was with Monica and Cat, who is pregnant by the way and is going to have the Panorama Prenatal Screen. Follow her blog to know her firsthand experience at www.catarambulo.com. 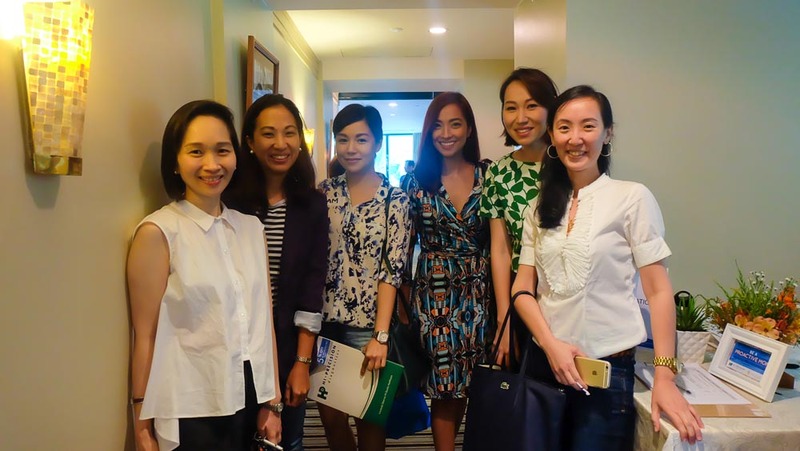 Tin Dychiao, Janice Villanueva, Pam Siao, Tina Ong and yours truly with Mel Ongsue of Hi Precision Diagnostics. Thanks again Mel for having us!